Since Casper launched its “mattress in a box” concept in 2014, digital-savvy entrepreneurs have been launching new mattress brands online seemingly every week. Each offers a state-of-the-art mattress made with patented new materials or an innovative design, all compressed into a small box for easy shipping right to your doorstep. A Layla mattress is two-sided, giving you the choice between a firm or soft mattress. Eight offers a mattress with smart home integration, collecting data on your rest as you sleep. Bear mattresses use “Infrared Yarn Technology” to help athletes and those with active lifestyles recover faster. The Avocado mattress is made of all organic, nontoxic materials. It’s hard to know just how many online mattress-in-a-box companies are floating around, but one such company’s CEO said the number could be as high as 150. Another said the number of mattress manufacturers, which are rarely the startups actually marketing the mattresses to consumers, is close to 500. Ideally, a mattress is something you buy once every eight to 10 years, when an old one wears out or a major life event like getting married creates a new household. One can find a quality mattress for around $1,000. Given this is a relatively affordable, infrequent purchase for most households, why do so many companies see an opportunity in the online mattress space? 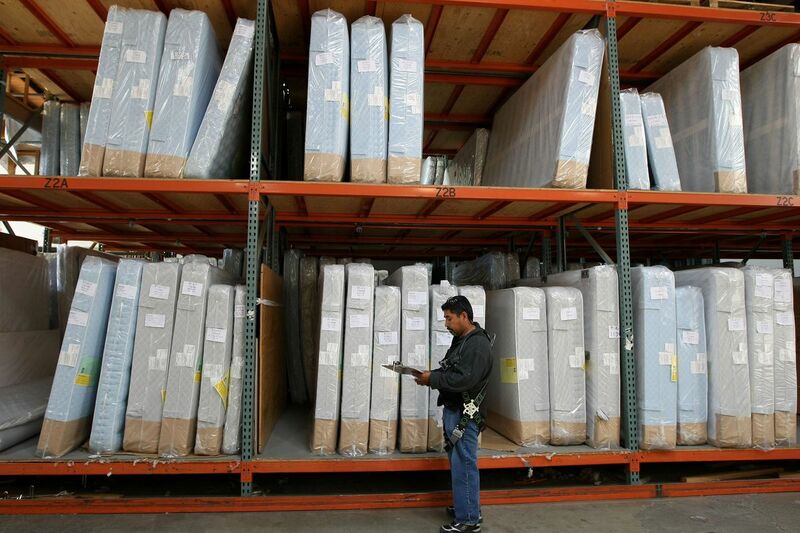 Mattresses were among the last consumer products to find a footing in e-commerce. Traditionally, mattresses have been sold by mom-and-pop stores, retail chains like Mattress Firm, and department stores. Because mattresses sell at relatively high profit margins—a mattress can be manufactured for as little as $250—a mattress store needs to sell only a few mattresses to cover its costs. These dynamics have also led to a boom in the number of mattress stores in America. Aside from, say, Tempur-Pedic, which pioneered memory foam mattresses, most people probably couldn’t name the brand of mattress they slept on prior to the rush of online brands. This was partly by the industry’s design. If consumers recognize a brand, then they can go to another store and shop for the lowest price, creating a situation where mattress stores are slashing prices to compete with each other. For decades, this was the norm in the mattress industry—brandless mattresses in mom-and-pops and chains at high margins. But when Casper raked in $1 million in the first month of selling the Casper-branded “mattress in a box”—a concept that overcame the litany of costly logistics issues that accompany shipping something as large as a mattress — a bevy of entrepreneurs saw an opportunity to capture market share in the $15 billion mattress industry by creating digital brands that appealed to millennials, who are driving the rise of online shopping. To understand why there are so many brands in the mix, it’s better to think of these companies less as mattress companies and more as digital marketing companies. Aside from a few exceptions, like Purple and Tomorrow Sleep, which is a subsidiary of Serta Simmons, most online mattress companies don’t actually manufacture their own mattresses; they subcontract the manufacturing and simply slap their brands on the product. Companies do play a role in the design of their mattresses, which can include how it’s constructed and the materials used. This is usually true of any brand that wants a significant variation on the mattress, but construction and assembly of the mattress is almost always handled by another company. Just like mattresses sold in a physical store, margins on the mattress in a box are still high, meaning startups only have to sell so many to cover their operating costs. And because these companies exist mostly online, their operating costs can be even lower; all they need to do is maintain a website and buy ads on the internet. Some of the bigger brands will also buy physical ads, like Casper does in the New York City subway, but the logistics of shipping and manufacturing are outsourced. According to Forbes, online mattress sales made up 5 percent of all mattress sales in 2016, and that number was on track to double in 2017. It’s hard to know exactly how much of the $15 billion mattress market online companies can ultimately capture, but there’s likely a hard ceiling because most consumers, particularly older ones, want to try the mattress before buying it. Online mattress retailers have tried to overcome this hesitation by offering free returns within a window that can be as long as three months, and it’s working to the extent that the online mattress space is growing. But industry insiders Curbed interviewed for this story pegged the ceiling for the online market share at somewhere between 20 and 30 percent of all mattress sales. The other factor holding back growth of online mattress sales is the fact that the mattress industry as a whole doesn’t have much opportunity for growth, and the growth in online sales will ultimately have to come from cannibalizing sales from retail stores. Can all these companies survive as competition heats up? In the short term, the industry can likely sustain a high number of online mattress companies because many of them are funded by venture capital. With the online sector projected to grow, there are plenty of people who think they can create a brand that clicks or pioneer a variation on the traditional mattress that will become popular with consumers. Investors might show patience with the companies because the operating costs are so low. While many of these companies are undoubtedly losing money, it’s probably not much, given the bulk of the costs are related to buying online ads, customer service, and maintaining a website. At the same time, the price of ads is going up for mattress companies because of all the new players in the space. In Google AdWords, companies bid for ads related to keywords such as “mattress” or “best mattress.” The more companies there are bidding up the price, the more it will cost to lure in new customers, and some companies will get priced out as the space gets more competitive. There’s a window for a handful of online mattress brands to become real players, and the fight to be one of those could get vicious. The competition has already gotten quite heated. Because consumers can’t try most online mattresses before purchasing, they turn to mattress review sites like MemoryFoamTalk and Sleepopolis. But these sites have started developing financial relationships with individual online mattress companies. Recode recently exposed MemoryFoamTalk’s relationship with Nectar, which the site named as its top-rated mattress. After suing Sleepopolis for not properly disclosing that it received commissions for referrals to certain brands, Casper simply bought out the site, which now favorably reviews Casper mattresses. These types of business tricks are symptomatic of an industry where numerous players are fighting for what will be a finite amount of market share in an industry with slow overall growth. There’s a window for a handful of online mattress brands to become real players, and the fight to be one of those could get vicious. “I would think there’s going to be two to three of those [mattress in a box companies], then I think the door is still open for somebody that does something more innovative than a bed in a box and uses online as their retail channel,” Stewart said.